Safestore Self Storage Bournemouth Westbourne is conveniently located on Heatherbank Road opposite Westbourne Library. This centre, which used to provide storage for Harvey Nicholls in the 1930s, is now a safe place for storing your things, for however long you require. With Safestore, all your belongings are kept safe from harm with our 24 hour recorded CCTV and intruder alarms. As the only key holder, you'll have unlimited access to your room during opening hours. 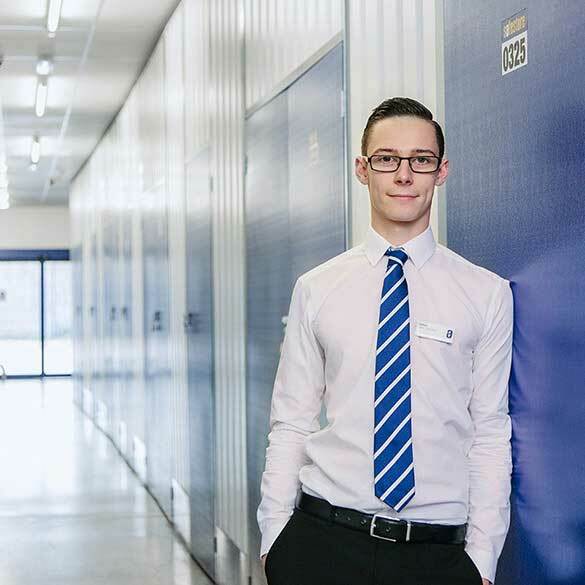 With our friendly team of knowledgeable storage experts always on hand to help, you can be sure that all your storage needs will be catered for. Get in touch today and find out about our storage solutions. If you're looking for any other locations, you can click here for storage in Bournemouth. We have a range of storage solutions at Bournemouth Westbourne Safestore, whether you are moving house or just need some space to store your things. Use our storage size tool to help you decide what you need. Get 50% off storage for up to 8 weeks at Safestore Bournemouth Westbourne with no minimum stay. Offer available at all UK Safestore centres. Get a storage quote at Safestore Bournemouth Westbourne today and reserve a unit for free. When you move in we won't need a security deposit either. Get 20% off at Safestore Bournemouth Westbourne if you agree a stay for longer than 12 months. Terms apply.